This combination contains three classic herbs to nutritionally support the circulatory system. Each is also an excellent cooking spice—next time you have your favorite stew or dish, open and sprinkle several capsule-fulls into it. Visit http://mynsp.com/herbsplus/products/guide.aspx?stockNum=832 to learn more about this product. Flash back 35 years to the product that started it all. In 1972, NSP founder Gene Hughes took a spoonful of cayenne pepper for an aggravating stomach condition. When his wife, Kristine, suggested putting the powder into capsules for ease of swallowing, Nature's Sunshine was born. Soon the entire Hughes family began encapsulating herb powders and selling capsules to Utah grocery stores. Crystal keepsake measures 92 mm x 54 mm (top diameter); made from the finest optical crystal; each piece is hand finished and inspected to ensure quality. This is your chance to own a truly beautiful replica of this timeless product. Capsicum capsules (100 count) bottle with 35th anniversary label. Pieces are individually packaged in a premium presentation box. Specially price at $19.95. A $60. value! Quantities are limited. Get yours today before they're history! Buy 4, Get 1 Free and Buy 9, Get 3 Free and $Dollars off specials on Top-Selling NSP Products! for information and prices on these great Supplements. Ultimate GreenZone - Energize your body with this whole foods drink mix featuring amaranth seeds, brown rice, spirulina, carrots, broccoli and lemon bioflavonoids. Mega Chel - A top seller for decades, Mega-Chel packs a powerhouse of nutrition to support the circulatory system, especially blood vessel health. Nature's Noni Juice - This tropical tonic supports the immune, structural, nervous, digestive, intestinal and respiratory systems! It's a wonder! E-Tea - This traditional herbal formula for the immune system is an encapsulated version of the original Essiac tea, used to help detoxify and purify the blood. Colloidal Minerals - Providing structural support to the body, the macro and trace minerals in this product aid cell function and structure, support enzyme systems and provide immune system help. High-Potency Garlic - The one and only chlorophyll-coated, potent, odorless garlic tablet is best known for its benefits to the circulatory and immune systems. Proactazyme Plus - This plant sourced digestive enzyme product helps break down all food types and supports digestion. LBS II - A blend of laxative herbs, LBS II is designed to support proper waste elimination and encourage colon cleansing. Contains cascara sagrada. Co-Q10 75 mg. - This nutrient provides the heart muscle with maximum energy and protects cardiac cells. It also supports already-normal-range blood pressure levels. Colloidal Silver - A powerful weapon against all sorts of unwanted microbial invaders, NSP Colloidal Silver boasts 14 parts per million. One teaspoonful provides 70 mcg pure silver without heavy metal contamination. Super Supplemental without Iron - Provides more than 100 percent of the Daily Value of 12 vitamins and six minerals, plus lycopene, lutein and other nutrients to support general health and vitality. Flax Seed Oil with Lignans softgels - Omega-3 fatty acids support the circulatory system, specifically the heart. Lignans, naturally found in flax oil, are known to stimulate immune activity. Nature's Hoodia Formula - This formula offers safe, caffeine-free, non-stimulant weight management support. May help reduce the desire to eat. Blood Pressurex - This exclusive formula contains Coleus forskohili, olive leaf extract, hawthorn berries and more to protect blood vessels and promote peripheral blood flow. Nature's Phenyltol w/ NEM - Supports your structural system. Nature's Phenyltol contains DL -phenylalanine and natural eggshell membrane, which may help lengthen the lifespan of endorphins in the body, provide building blocks for important neurotransmitters and help the structural system. Thai Go - (Special available on Thai Go, June 20 & 21st only) - Thai Go is a delicious blend of healthful fruits and nutritional supplements that boasts high amounts of xanthones, bioflavonoids and antioxidants. What is the most powerful tool in your tool kit? This tool can be used at any stage in building your business, whether you are just beginning or have been in business for many years. It will give you direction at times when you find yourself going in circles. It will inspire and boost you when your energy is low and help you know what to do when you find yourself at a dead end. This tool is so useful that once you begin using it, you will wonder how you ever got along without it. The powerful business building tool is a Question. Many inventions came about because of the asking of a good question. The idea to create Terra Cotta Pendants came to me because I asked one simple question. The story is here. Dave Kahle in his book Take Your Sales Performance Up a Notch outlines many different planning processes that are simply a series of good questions. Good questions: How can I find more contacts? How can I sponsor three new business-builders per month? How can I support, encourage and inspire my downline? What kind of meetings should I have? How can I sponsor everyone who comes to a meeting? Who would be a great partner to work with? What’s the best strategy for working a Health Show? How can I advertise more effectively? Where? How can I find places to present the oils? What am I doing that is working and what is not working? Should create a web site, start a Newsletter? What is the best use of the time I have today, this week, this month for building my business? Ask questions specific to the season: What is the best way to introduce essential oils to people during the lazy days of summer? What are people looking for now (i.e. insect repellents, travel oils, sunburn relief) that essential oils provide? Where can I find new prospects? What should I be preparing now, to do this fall to build my business? What will work best in September, October, and November? If you can’t think of good questions, ask: What questions should I be asking? My favorite, all-purpose question: “What else can I do to build my business?” An effective way to plan your week is to write down questions on Monday and pay attention to what happens. You can solve any problem, overcome any obstacle and discover great ideas with just one good question! Where do we find the answers? That’s a good question! Use the Search Engines, go to your public library or call your company support team or your upline. We know now that what we focus on expands. That is the power behind this tool; the Universe will bring answers to you. But don’t just sit around waiting; move into action and meet it halfway! You haven’t even begun to understand your potential as a marketer until you’ve become adept in unleashing the power of asking good questions. In the next Article we talk about the one thing common to all success stories. It needs to be a part of yours. Stay tuned. Have you visited the Distributor’s Room? See them in Woman's World Magazine! a Open to me referring customers & helping to sign up members from your state under you with the intention of helping you to build your NSP business. PLEASE EMAIL OR CALL ME IF YOU ARE INTERESTED IN BEING THE REPRESENTATIVE IN MY DOWNLINE FOR YOUR STATE. Not interested in obtaining the above goals and requirements but would like to sign up under a member in your state? If you live in these specific areas, and are interested in signing up with a Nature's Sunshine member in your state so you can receive your products at member prices, and have a support system in place, please choose a member in my downline in your state to sign up. You will still be in my downline if you sign up under these members so I would be happy to help you at anytime with your membership, your health challenges and goals. Don't see a member listed for your state? Let me know if you are interested and be one of my 50+. Not interested in business building? That is okay, sign up under me and I will do all I can do to help you with your NSP membership and your health goals and challenges, no matter where in the world you are located. Customized individual health & wellness building principles program. Contact Reflex Analysis (CRA) with Applicable NSP Nutrition. Nutritional and Innate Food Allergy Muscle Testing. to help them sign up and build their business. * Offering Nature's Sunshine Products Vitamins, Herbs & Supplements. If you live in Massachusetts, Rhode Island, Connecticut, Vermont, New Hampshire and Maine call Ronnie & Pat Moore. As we are building our network they will be working to help me in these states. ~Classes and Consultations By Appointment Only. Please call Nancy Price at (570)729-0136. Centered on Holistic Health and Nutrition. Also offering Nature's Sunshine Products. If you live in NY/PA/NJ call Nancy Price, as she is taking on the tri-state areas at this time. ~ Offering B.E.S.T. ENERGY FOOT SPA SESSIONS, Nutritional Consultations & Nature's Sunshine Products. ~By Appointment Only. Please call Laura at (972) 529-9489 to schedule your appointment. - Wina is a Spanish Member in my successline working ALL USA states and Spanish International countries (i.e. Puerto Rico, Mexico) to help with NSP customers who are more comfortable working with someone who speaks fluent Spanish. - Spanish Customers Please Call Wina Ortiz at (704) 882-8643 or email her at winaortiz@writeme.com for help with your orders, and to learn how to achieve better health via nutrition. I have quite a few wonderful Managers & Members working the NSP business, here in North Carolina & South Carolina. Each has different modalities they work with and great things to offer when searching for better health. Linda & Gene Duvernell are my newest business builders in NC. They offer a lot of experience to living on the Do's and Dont's of nutrition and health. Gene is a cancer survivor and enjoys sharing his experiences to help others. Linda (better known as Juicy) has been a long time beauty consultant, and enjoys cutting hair, and doing nails and providing services to make us feel good about ourselves. She is combining her life experiences with her knowledge of how good wholesome cooking and health with others and is now implementing her Nature's Sunshine business to help teach about nutrition via supplements. ~ Call 803-628-0873 for your appointments. 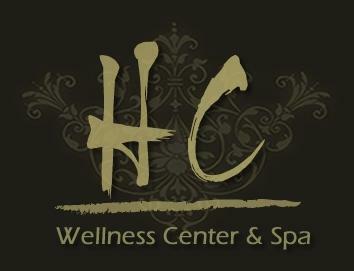 Featuring: Hydraulic Exercise Equipment, Aqua Chi Detoxifying Foot baths, Massage Therapy and Nature's Sunshine Products. Charlotte has been a Nature's Sunshine member in my downline for some time. She has had experience working in two different NSP stores. She enjoys teaching about cleansing. She is excited to be actively working her Nature's Sunshine business and has been focusing on Business building. Our 35th anniversary year continues to roll by quickly. At Home Office, we're excited about all of the events, product developments and activities planned for the remainder of the year. Nature's Sunshine is, as always, committed to quality, service and integrity, and I believe these guiding principles will continue to enable us to lead the industry for years to come. I also recognize the importance of you, our field leaders and customers, and I thank you for your commitment to NSP. It is through our combined efforts that we make a difference in the lives of others with improved health and well-being. • Our scientific update this month focuses on protecting your skin from within during the hot summer months. We all know that you can use sunscreen or wear protective clothing, but did you know that you can also use dietary supplements to protect your skin from within? Two recent studies indicate that lycopene, phytofluene and phytoene may help protect the skin from UV-induced damage. Researchers also found that superoxide dimutase (SOD) may also help those that sunburn easily. Of course, Nature's Sunshine offers products such as our Carotenoid Blend and SOD with Gliadin that offer these protective nutrients. You can also use Thai-Go® and Natria Sunscreen for year-round protection. See the full article. • Look for some exciting product specials & extra specials later this month! Some of your favorite NSP products will be available at a wonderful savings. Plan to stock up this month! Watch your mail, or check our website often. • Silver Shield meetings begin! Our repackaged Colloidal Silver will be available soon, and as part of this product re-launch, we'll have meetings in five locations across the country. Dr. Gordon Pedersen is our featured speaker, and he has had years of experience with the benefits of this great product. June 12 - Green Bay, Wis.
June 13 - Oak Lawn, Ill.
June 19 - Rochester, N.Y.
June 20 - Orlando, Fla.
• Remember that June is the last month to qualify for the first Sunshine Select term of 2007. As you know, becoming Sunshine Select helps you qualify for our fabulous TAC trip to the Mediterranean in 2008. In fact, you'll want to make sure you achieve your goal in each of the Sunshine Select terms! By achieving Sunshine Select status, you not only qualify toward the TAC Trip, but you also receive 5% off your purchases for six months and can participate in other rewards as well. If you qualified for our 35th Anniversary Convention Cruise , make sure that you register early. Registration begins on June 18, and space is limited so act quickly. Buy-ins who prepaid their fees may begin registering on July 14 if space is available. Check the information on our website for complete details. for the month of June. This month we focus on Perfect Eyes just in time for the national eye health month. All of the products we have highlighted this year are available on the Retail Corner section of website under the Members page. To download, right-click the link and select the "save file as" option. • If you haven't seen our latest Video Podcast, make sure you take a look. You can view these online, download the files to your own personal computer or download to your video mp3 player. What a great way to stay updated on NSP news and for others to see the latest Nature's Sunshine has to offer. View the videos and Learn more on the NSP site, under the members section. Thanks once again for your commitment to Nature's Sunshine! This healthy drink was a hit with Managers at April's Rising Star Convention. AN HERBAL & NATURAL HEALTH NSP EDUCATION! If you would like some of these printed brochures to invite others to the class or post them up in your store, please give me a call 704-588-7638 or email me herbsplus@mynsp.com and I will send you some of these poster brochures/invitations. Attend an Untold Truth Seminar in your area. Dates still to be announced for Houston, TX, Manhattah, NY, Rocky Mt., NC, Wasilla, Alaska, and Ellicottville, NY, San Jose, CA. plus others... please check back. Please check back for additional Untold Truth dates TBA. An aura of mystery surrounds Traditional Chinese Medicine. Because it approaches health and nutrition in a different way than most modern philosophies, many people just don’t understand it. But understanding anything more than 2,500 years in the making is difficult to accomplish without a guide. This year through the Untold Truth series, we will explore the philosophy of Traditional Chinese Medicine and learn the secrets of ancient Chinese herbalists. Authored by Steven Horne, this module will give you an overview of Chinese herbs, terminology and philosophy, and how to use this information in your life and business. Discover the Secrets of Energy. Unlike Western medicine philosophies, Traditional Chinese Medicine is an energy-based health system. Rather than focus on the body's organs and their functions, TCM recognizes the subtle connections between spirit, emotions, mind and body. Learn what these energies mean to you and how they can affect your health. Uncover the Importance of Balance. Traditional Chinese Medicine holds to the law of opposites, which states that everything in existence has its “other half,” an opposing energy that balances it and creates wholeness. Most of us are familiar with this philosophy through the terms Yin and Yang. Learn how this law applies to the body and its mechanisms. Establish Your Individual Constitution. Traditional Chinese Medicine recognizes that everyone is different, and that this uniqueness is expressed through a person’s constitution. Your constitution determines what strengths and weaknesses your body has. Learn how your constitution is revealed and how you can use that knowledge to influence your health. Steven Horne is an herbalist, natural health teacher, author and consultant. His work has taken him all over the United States and to several foreign countries, including Canada, Malaysia, Australia, England and Mainland China to share his wealth of knowledge. 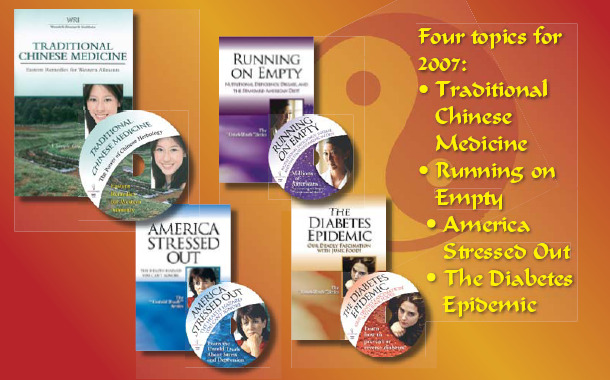 Thanks to Nature's Sunshine, Unlocking the Secrets of Chinese Medicine can be enjoyed nationwide throughout 2007! I hope you will take advantage of this wonderful learning experience. Once upon a time, we only had to wsh a little dirt off our produce in order to feel certain we were eating clean food. Now, however, we worry about hormones, pesticides, chemcial fertilizers, genetic modifications and more. Luckily, today's health conscious buyer can take comfort in one singel word: Organic. Organic foods consist of crops grown without genetic modifications and without the use of pesticides, synthetic fertilizers or waste materials suchas sewage sludge. Organic also means meat, poultry, eggs and dairy from animals that are raised without hormones or antibiotics, and fed on "natural" pasture rather than on feed enhanced by slaughterhouse waste. "I think buying organic is a vote for a different method of production," said Carl Winter, a food toxicologist at the University of California-Davis and a food science communicator for the Institute of Food Technologists in Chicago. "One of the major differences in this new method of production," he said, " is its regional quality. Organic food often is grown locally, encouraging the money that consumers spend on produce to stay within the community. The local flavor of organic produce also tends to lower the distribution costs associated with transporting food from farm to store and results in lower gas consumption and less air pollution because the journey is so much shorter." Buying organic food supports environmental protection in other ways as well. Consumers who buy organic invest in cleaner water and air through their support of a farming system that relies on natural mehtods of pest control. As such, pesticides do not seep into groundwater or spread into local rivers and lakes. "Pesticide residues are commonly found on crops, so for the consumer interested in reducing their pesticde load, organic is it," said Nell Newman, co-founder and president of Newman's Own Organics. Of course, organic foods are good for consumers, too. An apple grown and harvested conventionally can have as many as 36 different pesticides sprayed on it, according to the Washington, D.C. -based Environmental Working Group (EWG), which cites government research. "If people knew how their food was grown, they'd be willing to pay the extra money on organic," Newman said. The key to identifying organic food while grocery shopping is the USDA organic seal, which certifies that the food item which bear its seal are organic. The seal, however, is voluntary, so knowing common organic brands helps. Consumers who want to buy organic can identify many organic foods by studying their labels. Organic produce for instance, has a five-digit number on it that begins with the number nine, while conventional produce has a four-digit number. Consumers must also be aware of verbiage on signs and should remember that Natural and organic are not interchangeable. So the next time you're at Sam's club, remember that making organic purchases supports healthy environments, healthy families and healthy communities. Only foods certified as at least 95% percent organic (i.e. produced almost entirely free of pesticdes, toxic fertilizers, growth hormones and antibiotics) are allowed to carry the official "USDA ORGANIC" seal. I'd prefer that number was 100%! Also don't fall for the Organic refined ingredients. Refined is still refined, even if it is organic. Your body will have a hard time breaking down, assimulating and absorbing refined ingredients whether they are organic or not. With that in mind, whether you buy organic fruits and vegetables or not, wash all your Fruits and Veggies in Nature's Sunshine's Sunshine Concentrate all purpose soap. This will help you to remove all residue off the skin of the fresh produce. To order recordings of these calls please visit http://www.nspontape.com/ . Each month the Nature's Sunshine Products Training Department offers intense training on Herbs & NSP products. Product Focus Meetings are conducted via a tele-conference call and are available, at no cost, to anyone who has a touch-tone phone. Feel free to share the number with clients and friends. During this meeting, health experts from both inside and outside NSP will provide in-depth information on how to use the products and how they can improve your health. Click here to Submit your topic related questions to our guest speaker. “Sincerely seeking relief from chronic health problems, I discovered Nature’s Sunshine Products 27 years ago. My life changed completely from that day forward. Not only has Nature’s Sunshine changed my life and my health, but it has offered a tremendous financial opportunity that allowed me to have a lot of fun being home with my family and still make a very good living in my home-based business. Nature’s Sunshine also helped me to discover that not only did I enjoy getting up in front of an audience where I could share my knowledge and love of the herbs, but that I did it with a lot of quick wit and humorous stories. I am jokingly called the “Erma Bombeck” of herbs. Why not make learning fun. People can usually remember funny stories. Plus, thanks to my family and customers, I get plenty of material and it’s all true. Need Help? Please Call or email me. the information along to your downline Members. contact your state legislators and ask them to urge Governor Perry to veto H.B. the way complementary and alternative health care is delivered in Texas. client while performing any service without a license. each district office and ask that your state senator and representative ask Gov. do not deserve such shameful treatment at the hands of this state. Please do the right thing regarding HB 2644: veto it! read the text above if you wish. 4. Fax Gov. Perry the above at (512) 463-1849. Gov. Perry's office by June 12th; the absolute deadline is midnight June 17th. Health Freedom Advocates OPPOSE S1082/H1561 Subtitle B: Reagan-Udall Foundation S1082/H.R. 1561 sets up a non-profit corporation called the Reagan-Udall Foundation that would give the FDA a new and expanded role to be part of a Foundation with the purpose of implementing goals of the FDA in the area of new drug development. This means that the same organization that will be developing drug evaluation technology is also enmeshed in the agency that regulates the drug approval process, thus creating a situation that could potentially reduce the safety of the drugs and products made available to the public. In addition to being focused on drug assessment technology development, the Senate added language to the bill which jeopardizes health freedom. The Senate version now includes foods, safety. The inclusion of food safety amendments, and the inclusion in the original bill of foods and dietary supplement assessment in the purpose of this non-profit is completely unacceptable to freedom advocates because it could mean down the road that foods, dietary ingredients and dietary supplements would be at risk for being treated like drugs when evaluated by the FDA with their new tools. Foods and dietary supplements in the U.S. are not currently regulated as drugs, but are regulated as foods under DSHEA. Foods and dietary supplements are considered nutrients generally regarded as safe and the evaluation of their safety is based on whether they cause a significant risk of harm as opposed to being evaluated under the toxic drug risk/benefit assessment. Because of this assumption of safety, with the burden of proof on the government to show harm rather than risk/benefit, we have a wide variety of foods and supplements in the marketplace. If foods and dietary supplements were ever to be evaluated as drugs with technology developed for drugs, instead of as natural nutrients with complex natural processes, we run the risk of natural products being incorrectly assessed as harmful and taken off the market, and losing access to many wonderful foods and nutrients that we currently use. Foods and dietary supplements should continue to be treated as food (DSHEA) and evaluated under food standards and technology instead of with toxic drug risk/benefit assessment tools. To accomplish this, an amendment must be added to the current bill. This bill passed the Senate and is now in the House. We need as many people as possible to email, write or call your legislators to demand that the above amendment be added. If you do buy non organic fruits and vegetables, wash all your Fruits and Veggies in Nature's Sunshine's Sunshine Concentrate all purpose soap. This will help you to remove pesticides, dirt and germs off the skin of the produce. Peaches are the fruit with the most pesticides overall: 96.6% of samples tested had detectable pesticides. The average sample had 3.1 different pesticides on it. (Some had as many as 9.) Peaches also had the highest overall total amount of pesticides.